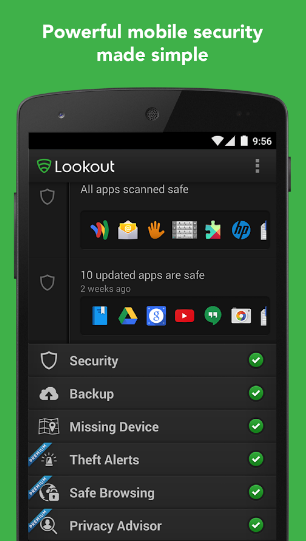 Enhance the safety level of your android phone by installing Lookout security & Antivirus apk app which is one of the best antivirus that can fight against malware, viruses, phone threats, or any other issue. After installing this free app, this will continuously scan for viruses in your computer & as soon as it came across any virus, it will take the appropriate action whether to delete that virus or to move it to chest. It will not only keep your phone safe but it will also make your browsing secure by blocking all the suspicious Urls. For that feature, you must be surfing internet on Google Chrome browser. 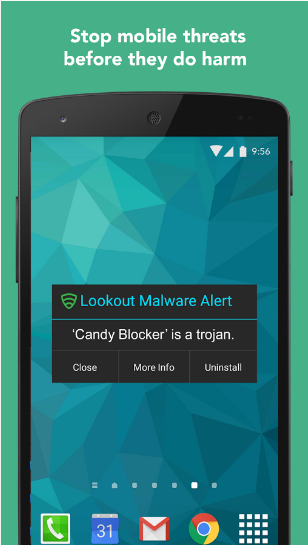 It has got numerous other dynamic features like you can now remotely lock your android phone using Lookout security app. This feature is very much helpful in those cases when you have lost your phone so by remotely locking your phone, all of your important data will be secure from others. It also allow you to backup your important data so incase you have lost that data, you should be able to recover that too. -This app will secure your phone from viruses, malware, or any other harmful program. It will also help you to enhance the speed by killing the operations which were slowing down your phone speed. Your browsing will now be safe as it will block all the websites containing viruses. -If you have lost your mobile, then you can recover it using this app. Lookout security has got maps installed & it stores the position of your phone. So you can access your phone by watching its location through Maps. -It will make a sound too even though if it is set on silent mode. -Antivirus apk allows you to backup your important data. You can recover that data at any time. It automatically backup your photos & call history data. 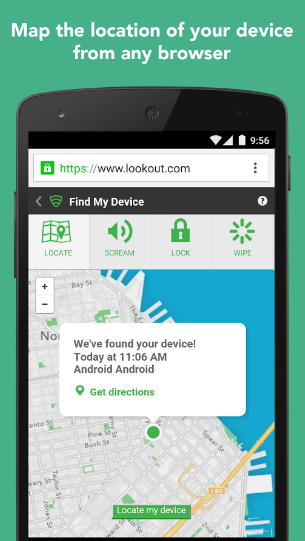 -You can remotely lock your phone in case of lost so that you can keep your data secure & hide from others. -It will also send you an email containing photo & location whenever some one tries to access your phone without your permission.